The nineteenth Anna Pigeon mystery is a gripping novel that transports you to the wild and dangerous landscape of Acadia National Park and is sure to appeal to fans of Sue Grafton and Janet Evanovich. 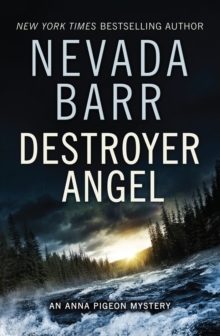 Anna Pigeon, in her career as a National Park Service Ranger, has had to deal with all manner of crimes and misdemeanours, but cyber-bulling and stalking is a new one. The target is Elizabeth, the adopted teenage daughter of her friend Heath Jarrod. Elizabeth is driven to despair by the disgusting rumours spreading online and bullying texts. Until, one day, Heath finds her daughter Elizabeth in the midst of an unsuccessful suicide attempt. And then she calls in the cavalry - her aunt Gwen and her friend Anna Pigeon. 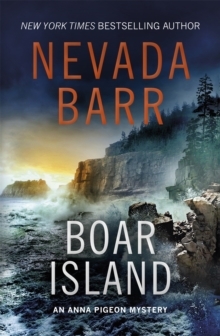 The three adults decide the best thing to do is to remove Elizabeth from the situation and, since Anna is about to start her new post as Acting Chief Ranger at Acadia National Park in Maine, they join her and stay at a house on the cliff of a small island near the park, Boar Island. But the move doesn't solve the problem. The stalker has followed them. And Heath (a paraplegic) and Elizabeth aren't alone on the otherwise deserted island. At the same time, Anna has barely arrived at Acadia before a brutal murder is committed by a killer uncomfortably close to her.